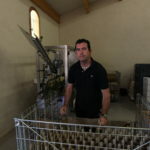 Wine: more than a profession … a passion! As from 14th July to 31st August we are open 7 days a week. The wine cellar is closed on Sundays and Bank holidays. Since 1967, three generations have succeeded one another with the same passion for wine, the same know how and respect for tradition . From a selection of our best parcels, this wine composed of grape varieties, Grenache, Syrah, and Mouvrèdre is promised a delicious future! All our bottles are uniquely numbered ! 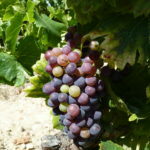 In this period of gloomy weather followed by bursts of heat, our vines are full of beautiful colors. At the domain all is freshly colorful that we must enjoy while we can because shortly the summer will set in with its heat and dryness. 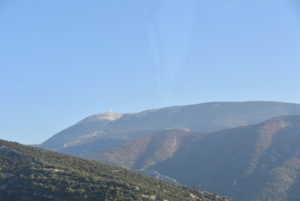 Following the road that leads to the domain, you will be able to admire the magnificent Mont Ventoux all year round. 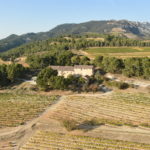 At the Domaine de Durban nature is always so generous whatever the season, what a pleasure to admire the Dentelles de Montmirail at sunset !! Maybe you’ll be lucky when visiting the estate to see this wonderful show ! 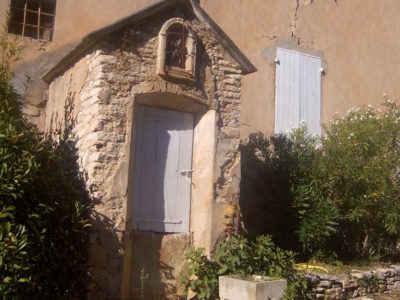 and voila – Welcome to the Domaine!! 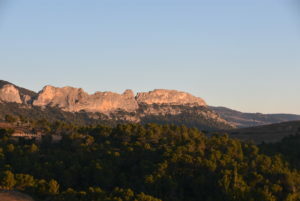 Les Dentelles de Montmirail are a part of the mountain range of the Baronnies massif. You will experience breath taking views on one of the must do walks in the region. 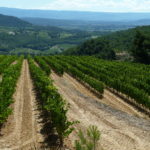 It is also a great opportunity to make some stops in the villages along the way and admire the vineyards that produce some of the best wines of the Côtes du Rhône like the Beaumes de Venise. 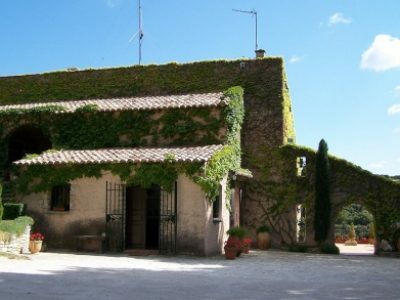 Imagine picturesque villages dotted around rolling hills, winding country roads and peaceful vineyards. 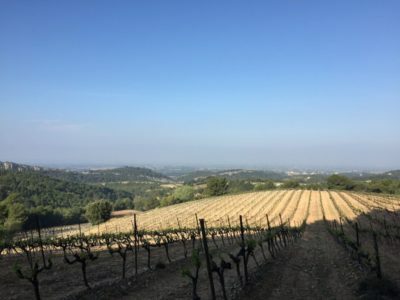 Such is the landscape at the Domaine de Durban in Beaumes de Venise. But it has not always been this way. One can imagine many moons ago the earth, sunshine and vines getting together in perfect harmony and deciding this in the promise land. 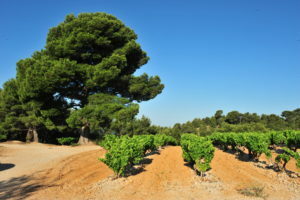 The Domaine de Durban has a pine wood as a backdrop and looks onto the vineyard. The panorama is magnificent. Traces of sovereigns are to be found at Durban in 1050 (attached to the Roque-Alric). Years later, the lord of Durban who had an allegiance with the Count of Toulouse, and the Cathare religion, saw his Castel and its defenses razed to the ground. He was given permission to build a fortified farm only, of which no more than a few ruins remain on the site . 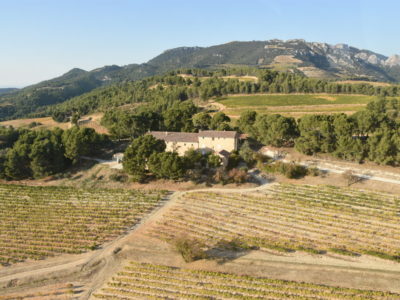 It was in 1967 that the Leydier family bought the Domaine. 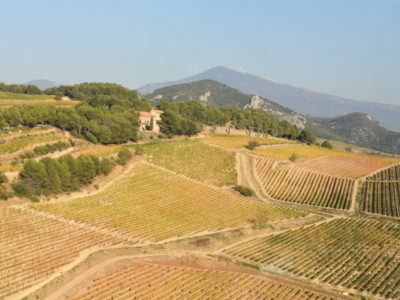 There were then only 13 hectares of vineyards, which included 9 hectares of red grenache and 4 hectares of muscat. 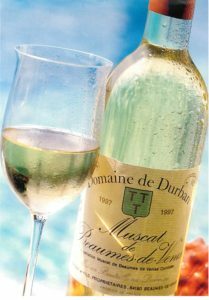 We were already producing muscat wine which is said to have been the preferred appetizer of all Popes. 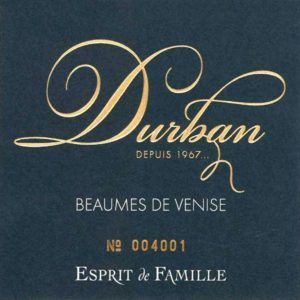 A soft, very aromatic wine which made not only the Domaine de Durban famous, but also Beaumes de Venise . 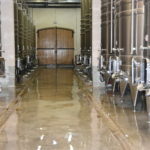 The ground at Durban which is made up of 60% clay cand 40% Trias has a very sunny exposure and a microclimate that helps produce great vintage wines and with regularity. The minerals present in the rich soil give both body and roundness to the wine but it is generously aromatic giving a subtle elegance. 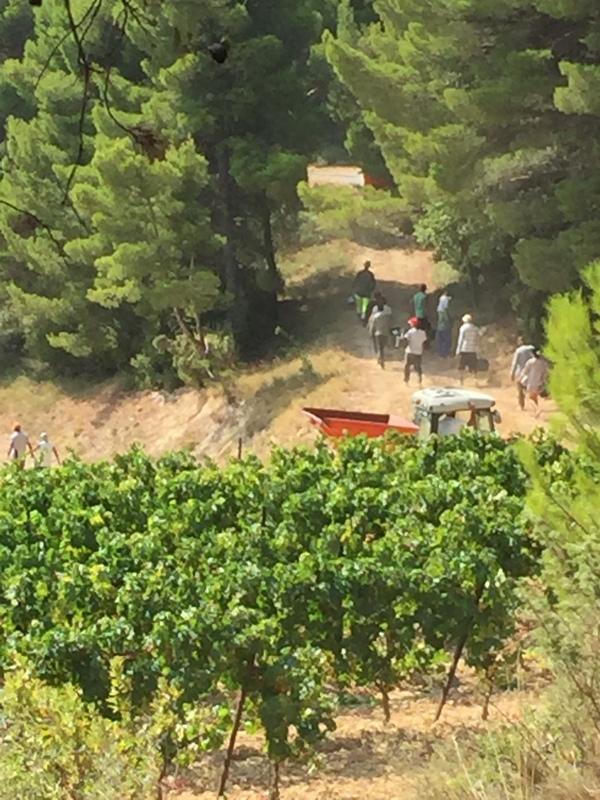 workers, secretaries and about a dozen seasonal agricultural workers according to requirements. 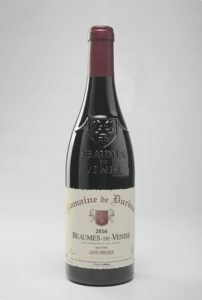 We share the same quality and tradition ideal with the descendants of Jacques Leydier, his sons Jean-Pierre and Bernard (now retired) and grandsons , Henri and Philippe. 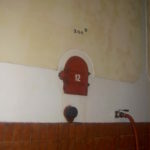 For you information, we receive groups up to 20 people. 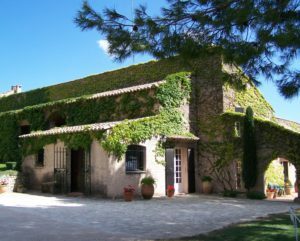 Visiting the cellar is subject to availability, thant you to contact us 48h in advance !! Please be aware that we do not export to individuals and only ship to france. Please contact us via email for further information. 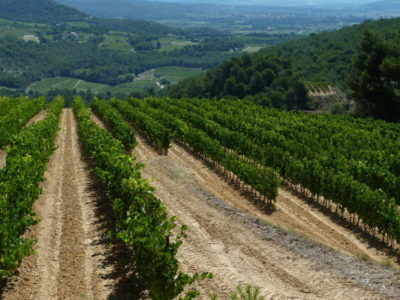 ” Rhône Valley , Terroirs d’Accueil ” is a bearer of the values of sharing and conviviality of Rhone vineyards. 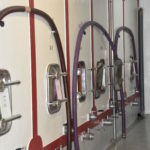 It is the guarantee that the visitors of wine cellars, ambassadors of their territory, benefit from quality service. This year again the Domaine de Durban keeps it 3 leaves !! 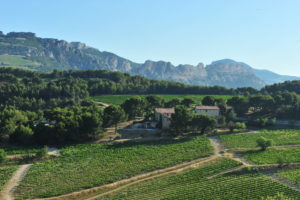 The Dentelles de Montmirail form part of the Baronnies massif mountain range. With exceptional views, this is one walk you should not miss. 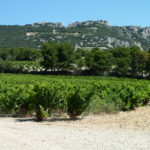 It is an opportunity to stop in any of the neighbouring villages and admire the vineyards noted to be some of the best Côtes du Rhône wines, for example Beaumes de Venise. We are now a VINEYARDS & DISCOVERIES labeled domain. 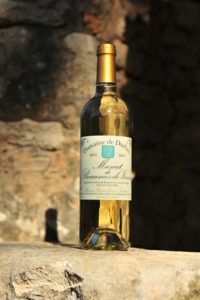 Launched in 2009, the label “Vignobles et Découvertes” is a national label, which aims to promote tourism around the theme of wine and vineyards. 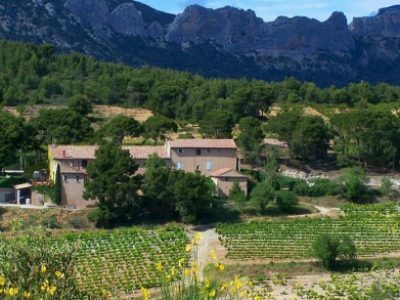 It was awarded to the territory “Around the Dentelles de Montmirail” in 2013 . 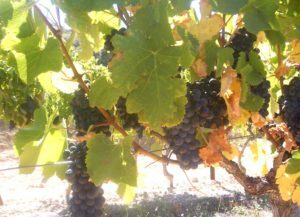 Origins and characteristics of our grape varieties !! Black grape originally from the island of Sardinia (Italy), it is one of the most cultivated varieties in the world. High quality grape, it gives generous, colourful and powerful red wines important to the ageing process. Syrah is a French and Swiss grape, it is known for its fruity aroma. 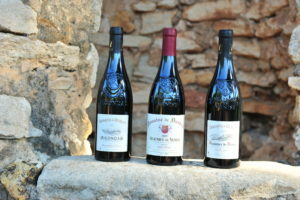 Red fruits: raspberry, currant, blueberry and blackberry. 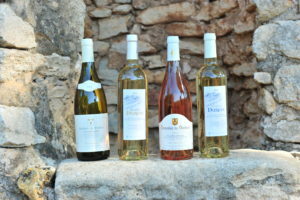 It is found in the Rhône Valley, Provence and the Mediterranean. A black variety of Spanish origin, it is often used to enhance the composition and complexity of wines. 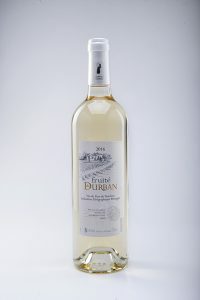 The addition with other southern grapes allows for a more flexible and affordable young wine. 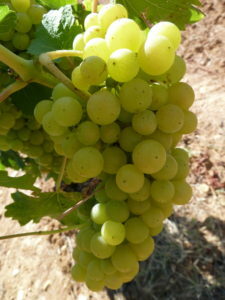 A white variety of Greek origin, grown since antiquity in most Mediterranean wine producing countries. This variety has a musky aromatic flavour, firm, juicy and very sweet. 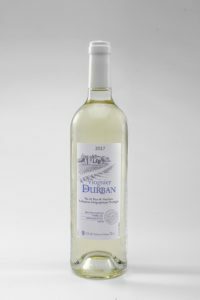 A white grape which was originally cultivated in the Northern regions of the Côtes du Rhône, Viognier gives a high quality full bodied wine white, thick, creamy, very fragrant, with floral flavours (violet) and fruity (mango and apricot). 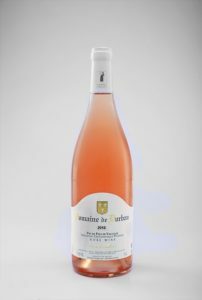 A French white grape originally from Burgundy with a very high potential for a quality dry wine with aromas of fresh fruit: (banana, blackcurrant, pear, and mango); dry fruits (almonds and hazelnut) and citrus fruits (lemon and orange blossom). 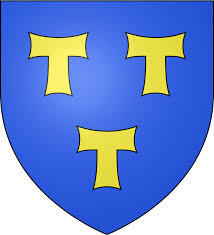 The 3 golden Taus symbolizing the reunification of the 3 Christian communities of Beaumes: Saint Veran; and Aubune. 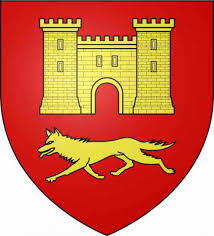 Their coat of arms is a castle under which passes a wolf. Only the wolf was used in the final coat of arms due to visual issues. Golden azure cross, with four flecks of ermine coloured sand. 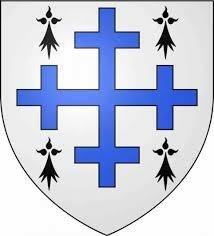 The cross was chosen and associated with the new Beaumes coat of arms. 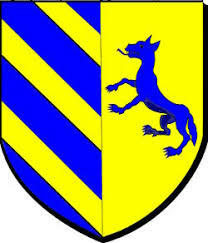 Firstly, three azure golden bands, the second, golden crawling wolf. Only the wolf was used mirroring the selection from Lafare. A ring circles the bottle touching either side of the coat of arms representing “The Alliance” between the 4 communities. The addition of the completed emblazoned bottles was introduced on 27th May, 2015! 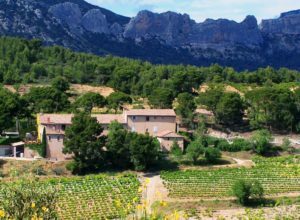 At the heart of the Dentelles de Montmirail the Domaine de Durban seems to blessed by the gods. 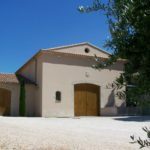 Located on a plateau of a hill overlooking the village of Beaumes de Venise, the Domaine de Durban backed by a pine wood, looks at the vineyard and offers a breathtaking panorama. 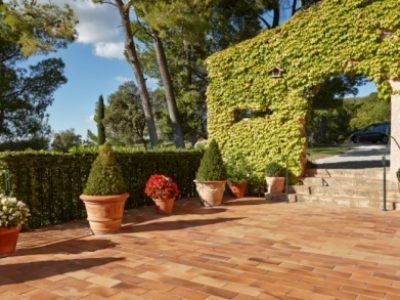 It is in exceptional setting that the Leydier family pays full attention to the production of its various wines. 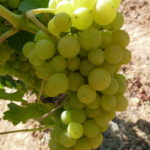 The land is perfect for the Muscat grape. 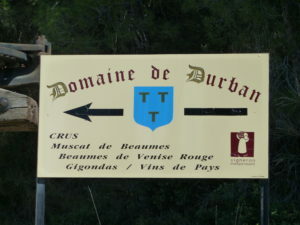 The Domaine de Durban vineyard extends over 56 hectares. 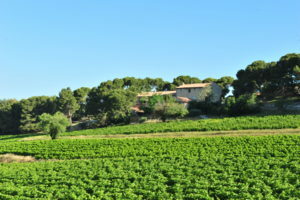 30 hectares of Beaumes de Venise Red (DPO). 20 hectares of V.D.N. 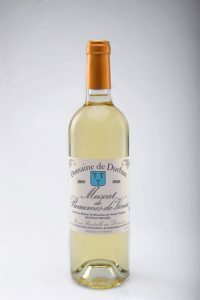 “Muscat de Beaumes de Venise” (DPO). 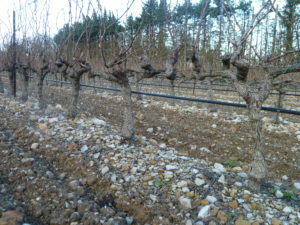 6 hectares of Gigondas (DPO). The Leydier family takes care of the maintenance and preparation of the vines all year round in order to ensure a high degree of regularity in their production. 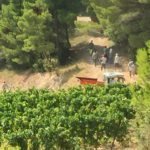 At the Domaine de Durban, the grapes are harvested as in the past: picking is done by hand so as not to damage the grapes; sorting is done straight from the vine, in order to eliminate the grapes damaged or not fully ripened. 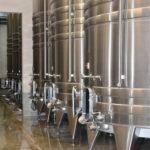 The grape thus harvested is de-stemmed and then placed in vats so that it marinates to release it’s nectar before being transferred into stainless steel tanks which control the temperature. bottled in his cellar, perfected in respect of traditions, welcomes, advises, shares with delight the fruit of his work. 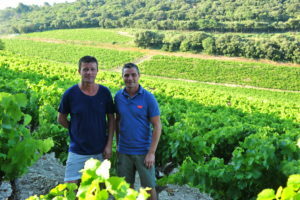 3rd generation at the domaine, two brothers, Henri ( left) manages the winery and the administration and Philippe (right) takes care of the vineyard . 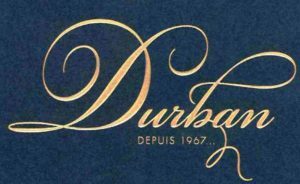 The Domaine de Durban is located on a soil composed of 40% Triassic and 60% clay-limestone, which brings richness and complexity. 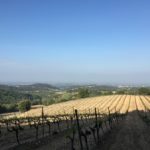 The vineyard is perched on a hillside and benefits from a very sunny exposure and together with a micro-climate produces wines of great quality. Buried beneath more than 1500m of sediments, this geological layer resurfaces today in various places above ground.Rich in magnesia, calcium carbonate and iron.Earth from Le Trias is easily identifiable thanks to its colors: ochre, yellow and violet. 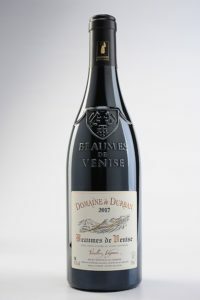 The symbiosis of terroir and grape varieties offers ideal conditions for a Muscat of great regularity, fruity white wine, and an exceptional superior red wine now known as Beaumes-de-Venise. 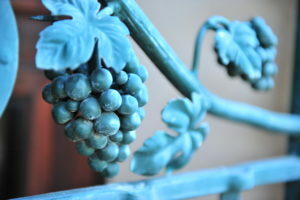 Ripe grapes are picked by hand and gently de-stemmed. 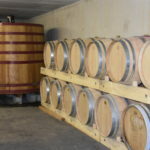 They are then marinate over a long period of time to give the wine its complex aromas, fine tannins and coated. 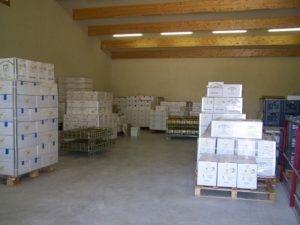 Operation that consists of artifficially stopping the fermentation of natural sweet wines at the right time by an addition of neutral vinous alcohol . 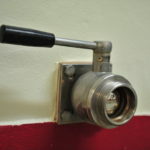 The word ” mutage ” comes from the fact that we make. The wine mute while it sparkles during fermentation.